As part of the program, drones equipped with the Cape Aerial Telepresence platform will be integrated into the department's daily operations to improve aerial intelligence, including supporting security efforts at public events. As part of the program, drones equipped with the Cape Aerial Telepresence platform will be integrated into the department's daily operations to improve aerial intelligence, including supporting security efforts at large public events. The year-long program will focus on increasing operational efficiency and the safety of both SSP CDMX officers and the greater community. It is designed to enable officers to launch drones throughout the city and teleoperate each drone directly from the command center to the location of emergency calls. With access to the drone's live feed, responding officers will be able to get a live view of the scene before arrival to better determine needed resources and improve situational awareness. "The safety of our residents, visitors and first responders is always our top priority," states Edgar Isaac Martinez, director of cyber security and intelligence for SSP CDMX's Department of Intelligence and Information. "With Cape technology, our team is able to gain a level of visibility that was never before possible, helping to not only drive operational efficiencies, but enabling us to better protect and serve our community." "Mexico has become a leader in drone innovation for public safety, setting a precedent for what drone telepresence can do for agencies around the world," says Chris Rittler, CEO of Cape. "Today, drones provide a level of aerial visibility and intelligence that was previously inaccessible for many agencies, or came at a steep cost with limited impact. 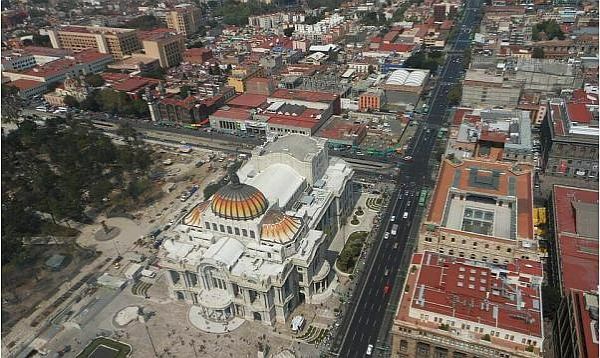 We are excited to work in partnership with the SSP CDMX to improve the safety of North America's largest city, and know that Mexico City will undoubtedly serve as a model for other agencies across Mexico and around the globe."